Finding the right Houston TX AC Maintenance operations can be very tough if you don’t know where to go. Are you ready to locate the next maintainers, repairmen, and replacement specialists for upcoming project? If you’re noticing that your air conditioning and heating units aren’t working well, you may be in need of assistance. When you’re trying to make the most out of your maintenance plans, our Houston Admiral Services are here to provide you with timely assistance. Read more to find out how. Not many people realize this, but you’re going to need to keep track of your air conditioning unit to make sure you get the most possible life out of it. Studies have shown that the typical system usually lasts roughly 15 to 20 years. As you can probably tell, AC and heating units are very reliable, and they usually last a pretty long time. However, these materials and systems are not foolproof, and you’re going to have to make sure you have the right backup for your upcoming problems. Our team of professional AC maintenance specialists and repairmen can help you find the right solutions for your heating and cooling problems. If you’re trying to make sure you’re able to get your repairs and replacements solved in a timely manner, you’re going to want our team on your side. We have a group of certified technicians who can help you repair and replace your malfunctioning components any time. Give us a call when you’re in need of some quick assistance and we’ll dispatch a member of our team at once to help you. With Houston Admiral Services on your side, you’ll never have to wait long for quality service. We take your air conditioning qualms seriously, and we’re going to be there when you require top notch service. Living in the Lone Star State can be an incredible experience for many, and a lot of people just like you go through the same troubles. Are you trying to make sure you’re not absolutely miserable when it’s time for you to get in the right conditioning state? While you may not always be too keen on using the heater in your home, you most definitely want to appreciate and utilize your AC. This is something that is absolutely essential in Houston. We happen to live in one of the hottest cities in the world. The summers in Space City can truly be unbearable at times, and nobody wants to go through them alone. While you might not know exactly how to get through to your situations and make your needs disappear, we can provide you with timely assistance and solutions that keep a smile on your face. Not only will you be impressed by our repairmen, but you’ll also be happy with the outcome of our service. We take pride in helping the typical customers get the most out of their individual systems. 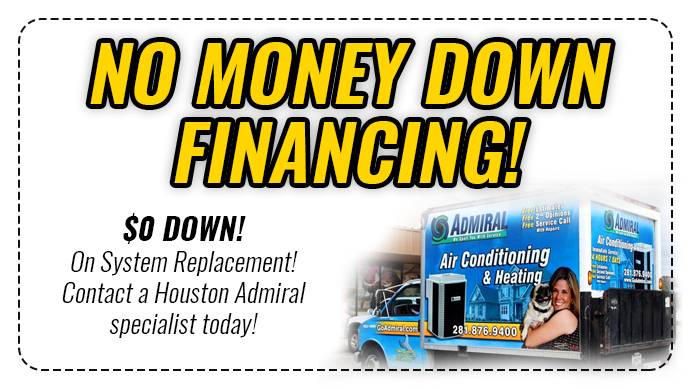 If you’re trying to upgrade and hit the next level of heating and cooling performance, call Houston Admiral Services today for more information. 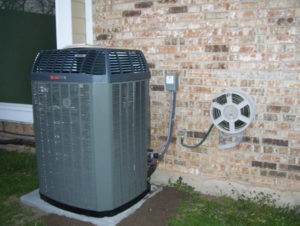 Our Houston TX AC Maintenance professionals are also on call to handle your emergencies. Have you recently dealt with your heating and cooling machinery completely malfunctioning? Maybe you’re trying to make sure you’re able to get to the bottom of these problems without costing yourself too much money. If this is what you want to accomplish, our team can help you figure out the right resources and solutions for your specific situations. Call us when you’re ready to re-find yourself and recalibrate your systems. Do you have a digital thermostat that’s giving you a bunch of problems? In today’s society, everybody loves to invest in the latest and greatest technology. If you’ve been using your AC units and heating machines without a Nest thermostat, you may feel like you’re missing out. There are tons of options for consumers nowadays that give them more control and power over their heating and cooling systems. Not only are you able to set this up on your own, but you can also experience a much more convenient and luxurious way of living. This is a fan favorite amongst our Houston TX clients and customers. Houston Admiral Services provides you with a detailed 31-point inspection that assists you with your setups. You need to make sure you’re able to have complete confidence in your air conditioning unit, and we’re here to make sure you get exactly that. Give yourself a shot at truly making the most out of your AC units by calling in our team. Our local techs are ready to provide you with the services and solutions you need and deserve. Houston Admiral Services provides you with quality services that make the most out of your setups. 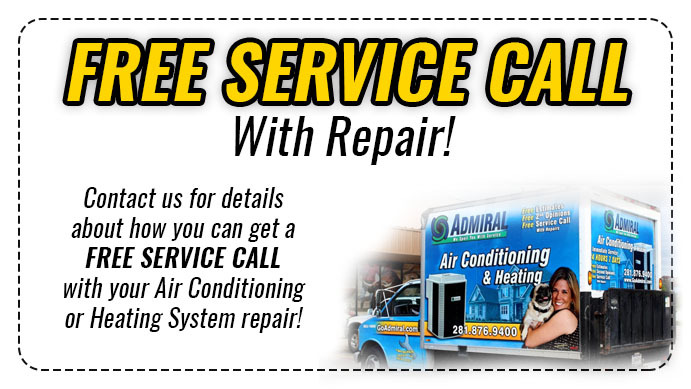 You deserve to find the right squad of AC specialists who can fully service your air conditioning and heating units. When you’re without the right team beside you, it can be extremely difficult to maintain and extend the lifespan of your appliances. Make sure you’re able to maximize the potential of your AC systems by calling in our Houston TX HVAC contractors when you need help. We’ll rise to the occasion each and every single time while providing you with immaculate, affordable, effective services. Finding the right Houston TX AC Maintenance company is decision you need to take seriously. Our team understands that you may not feel like you’re able to make the right choice when you’re faced with the many possibilities. While you may think that you’re unable to find relief in the face of adversity, our team is ready to prove you wrong. Call us today for more info. Houston, Texas is one of the biggest cities in America. It is also a cultural hub for many who enjoy the Lone Star State’s culture and influences. Visit Houston today to learn more!